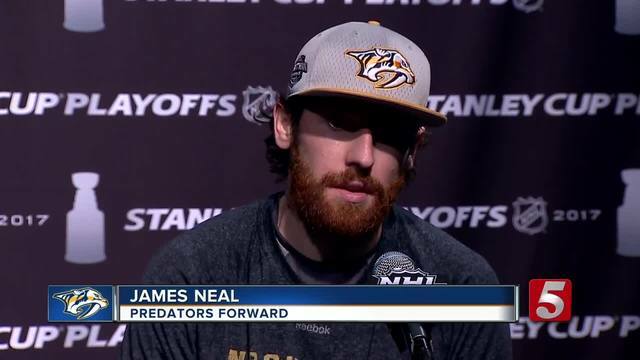 The Predators first ever Western Conference Final game required them to work overtime, but James Neal's overtime goal helped them steal home ice advantage yet again in this postseason. Neal took a pass from P.K. Subban at the right circle and fired a shot that deflected off Corey Perry and past John Gibson at the 9:24 mark of OT. "P.K. Made a great play, selling the shot and getting it over to me," Neal said. "I'm not really sure whether it went off the goalie or the guy laying in front, but it was a great feeling to see it go in." The goal capped a strong push from the Predators in the attacking zone. After giving up the tying goal and playing much of the third period on their heels, the Preds regained their game in OT. "After not playing very well in the third, I liked how we played in overtime," Predators head coach Peter Laviolette said. "We went back on the attack, and when you watch these games in the playoffs, usually the team that's attacking is the team that will find success"
The Ducks tied the game on a Hamphus Lindholm goal in the third period past a shielded Pekka Rinne. The Predators goaltender also allowed a goal to Jakob Silfverberg just 5:15 into the game, but otherwise continued his brilliant play in the playoffs with 27 saves. Filip Forsberg chipped in his fourth goal of the postseason on a deflection of a Matt Irwin shot in the first period, and Austin Watson became the 15th different Predator to score a goal in the playoffs with a shot off Sami Vatanen in the second period. 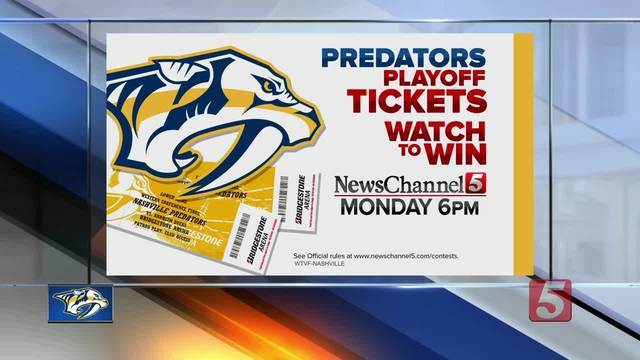 It's the Predators fifth one-goal win of the postseason, three of which have come in game one victories on the road to steal home ice advantage. "It's huge," defenseman Mattias Ekholm said. "But I don't want to emphasize it too much because we have another game to play on Sunday. We have to reset and get going." This series is far from over, but once again the Predators took a huge step in game one, and now stand just three wins away from a trip to the Stanley Cup Final.